The City of Toronto has officially announced it is now sharing real-time traffic data with Waze, to allow drivers to navigate the city with ease and to help congestion during peak periods. Toronto will also have access to Waze real-time traffic and road data, to enable the city to respond faster to issues as they arise. In the Toronto area alone, there are over 560,000 active Waze users. The new partnership will also allow Waze to help the City deal with traffic and road closures when it comes to major events, highway maintenance and pilot projects, such as the King Street Pilot which kicked off last week. “Over the last three years, we have finally focused on fighting traffic in Toronto and improving commute times. I am determined to build on the progress we’ve made and continue the fight each and every day,” added Tory. 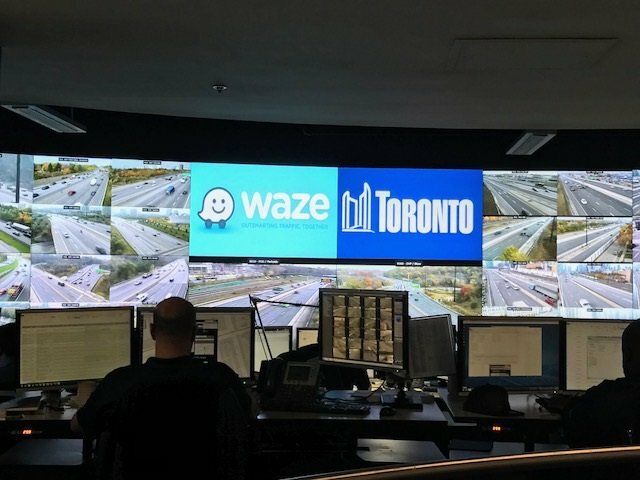 Back in September, Mayor John Tory announced the city was planning on sharing traffic data with Waze, as part of its plan to battle traffic congestion at major intersections. Waze is available for download for iOS and Android. Are you looking forward to this partnership?